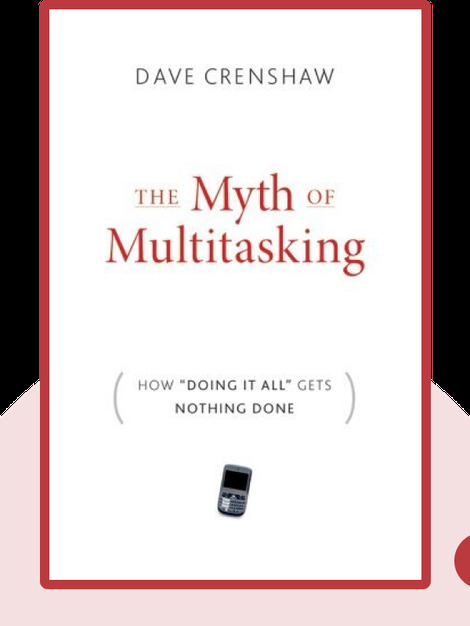 The Myth of Multitasking (2009) reveals an important truth: that the concept of multitasking is a lie that we’ve been buying into for far too long. The truth is that the human mind is not built to divide its focus, and if you want quality work done in an efficient, timely manner, you need to take things on one at a time. Dave Crenshaw is a highly sought-after business coach who has helped improve companies around the world. His writing has appeared in publications such as Time magazine and the Washington Post. His fourth book, The Power of Having Fun, is due to be published in the fall of 2017. 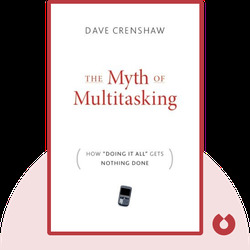 © Dave Crenshaw: The Myth of Multitasking copyright 2008, John Wiley & Sons Inc. Used by permission of John Wiley & Sons Inc. and shall not be made available to any unauthorized third parties.